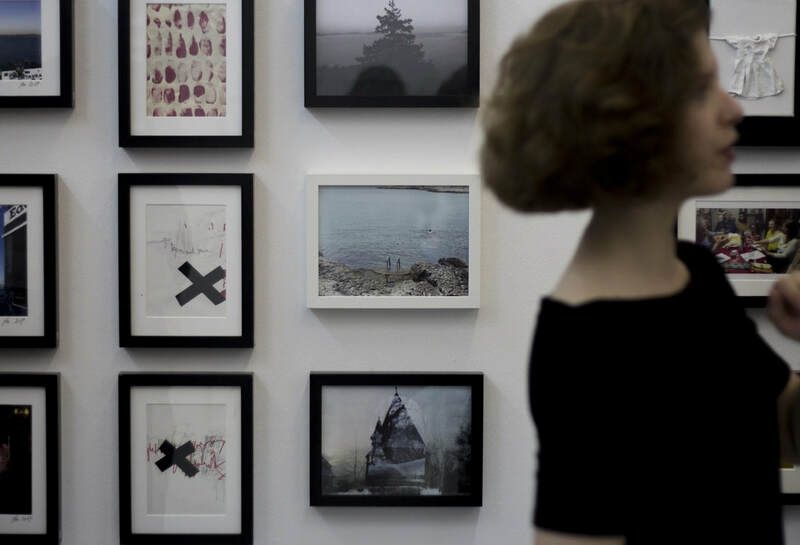 At YIA Art Fair kunsthallekleinbasel is pleased to present a curated group show with more than 100 frames. In our booth at Basel Art Center we will exhibit 130 artworks by more than 60 international artists. The show is curated by Jasmin Glaab, founder and curator of kunsthallekleinbasel. 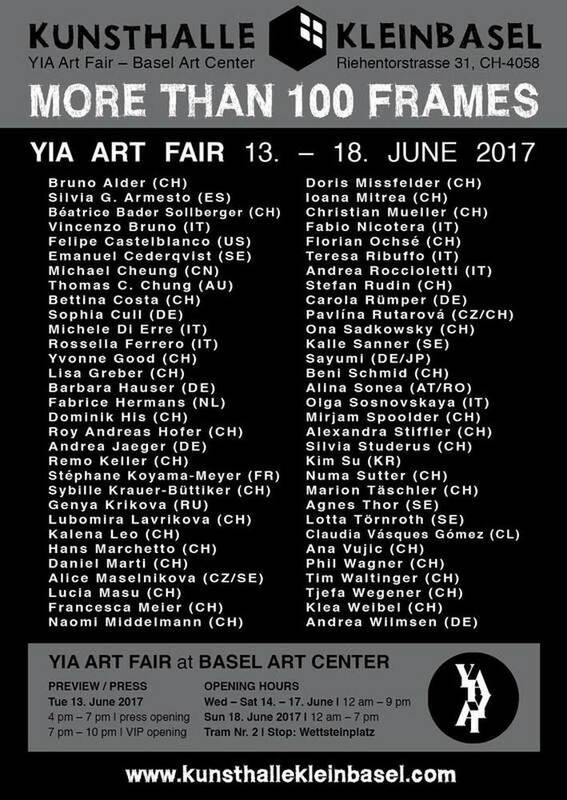 YIA Art Fair Basel, MORE THAN 100 FRAMES / booth of kunsthallekleinbasel. Photography by Tjefa Wegener and Ioana Mitrea. Basel Art Center, 2017.